Holistic Entrepreneur FAQs with Sharon Rose, Success Coach! If you’re a part of SWIHA’s student and graduate Conscious Branding group on Facebook, you’ve surely picked up a few hints from this #bosslady during her informative (and fun!) live videos. 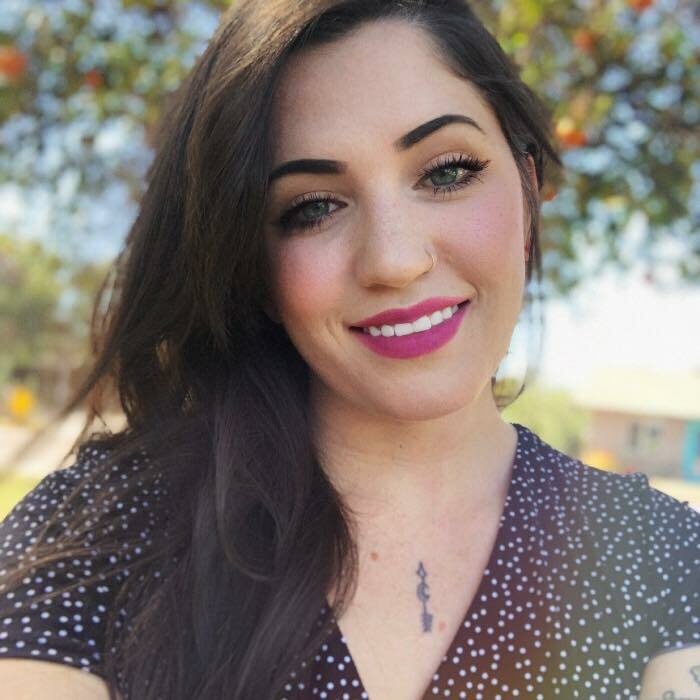 Sharon Rose graduated from the Advanced Yoga Teacher and Healing Arts Practitioner program, and alongside building her own coaching business as The Soul Stylist, she serves as a Success Coach at Southwest Institute of Healing Arts, supporting students and graduates embarking on the journey of entrepreneurship. I’m passionate, excited, and I’ve found my purpose through my education at SWIHA!...Now what? YAY! Awesome! SWIHA and your chosen education has prepared you for supporting people on their healing journey. Now, KEEP GOING! It’s time to learn what it means to be an entrepreneur, a business owner, and a professional in your field. Whatever your chosen modality--whether it’s hypnotherapy, polarity, yoga, or any other healing art--it is a business industry. That means there are others out there creating the income you desire with the tools that you have. Study the industry, business, marketing, and sales. Learn best practices, network and connect with others who are already doing it! Learn from the best in the field. Study their success AND where they came from; see their humbling beginnings. Remember: “it takes 10 years to make an overnight success”. 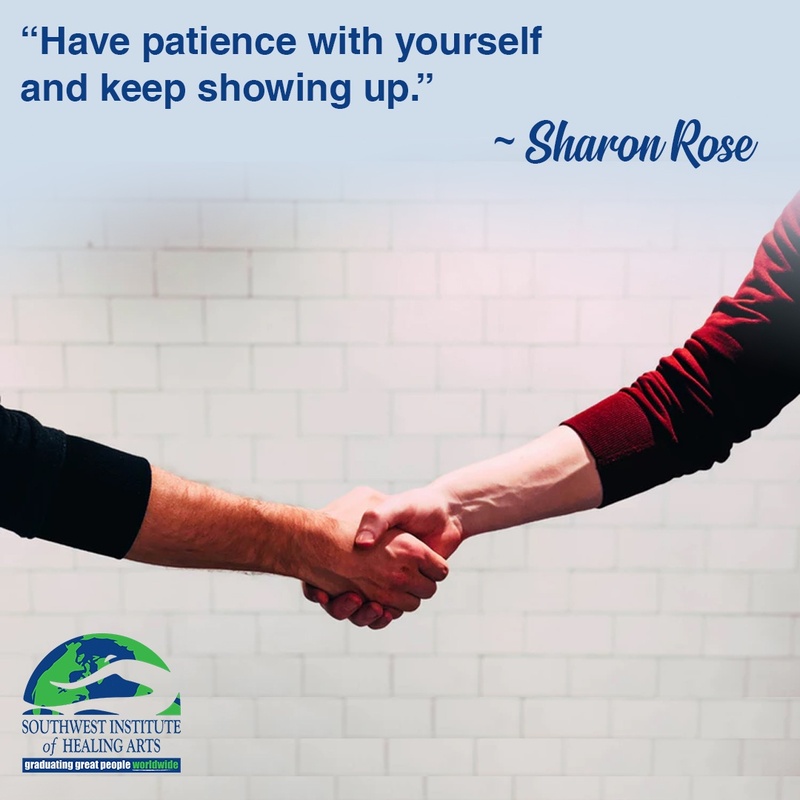 So, have patience with yourself and keep showing up. How can SWIHA help me with building my business? In all of the degree or diploma programs, there are entrepreneurial business classes built right into the program. If you’re not enrolled in a program, no big deal, the Holistic Entrepreneur and Business Development classes are open for anyone to enroll in. You will learn the basics and much more. For SWIHA students and graduates, the Success Center is open for business coaching and support. There are two full time coaches staffed in the office who have proven success in their field of business. You can schedule appointments with them for things like coaching, resume building, website needs, legal and tax information, and so much more. This support is available to students and graduates for life! There are also computers set up for student use, so come in and work on your business surrounded by others doing the same! A private Business Building & Branding FB Group just for students and graduates, where we post tips, live videos, challenges, strategies, and encourage learning from peers. 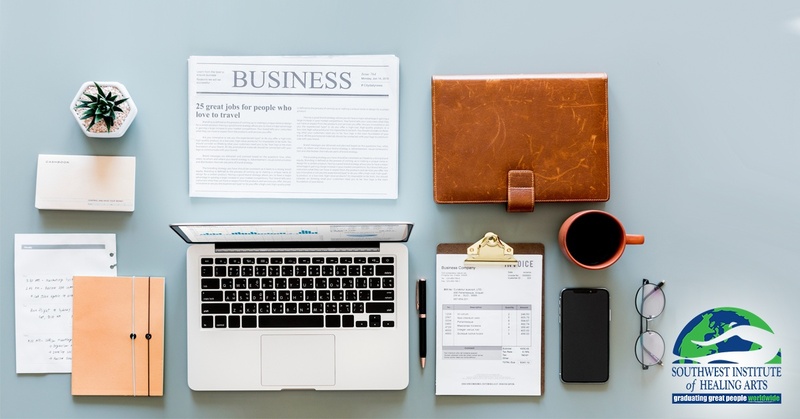 Business & Branding Webinars covering all things entrepreneurship and business, including getting started, email marketing, branding, target market, legal & tax information, plus more. These take place bi-weekly and are hosted by the Success coaches and faculty of of our online and on campus programs. OurSuccessCenter.com is a resource where our students and graduates can learn about opportunities in their field, find events and rental spaces. Greatgraduates.com is a place for SWIHA graduates to list their business so clients can easily search for and contact them. Do I really have to market and brand myself, or can I just put some abundance vibes out there? YES YOU REALLY DO! Being in the vibration and mindset of abundance is great because it begins to attract the opportunities of clients and money...however, without a brand and marketing strategy, what do you do with those opportunities when they arrive?! You won’t know what to do if you haven’t spent the time, energy, and money to invest in these areas! People BUY from people who have got it together and have a clear message. 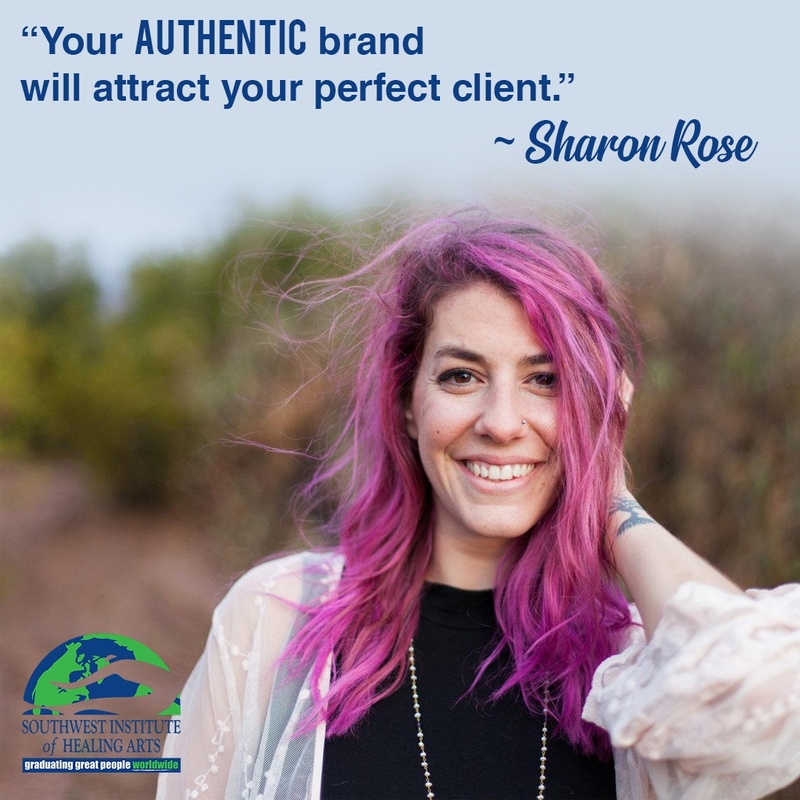 Your AUTHENTIC brand will attract your perfect client to you because they know EXACTLY how you can help them and they resonate with your energy. Marketing gets that message out in front of them in a big way. Once you are in front of them, they get to know and trust you and you get to promote and sell your packages and services. This is where you can make your money. People can't buy from you if they don’t know you are there. What are the most effective ways to market my services? There are so many methods to marketing yourself, and when you’re first starting out do as much free marketing as you can! I still use as many free methods as I can before I upgrade and pay. Get in front of your customer with your content WEEKLY through a podcast, Blog, Vlog, Video Show, IGTV, FB LIVE, etc. Having a consistent way to deliver content is imperative to building your customer base. Make it valuable, fun, and informative. Build your email list. That way, you have all of your customers and followers in one place where you can reach them. Each week, send a personal note that links to your websites, published blog, YouTube channel, or podcast. The intention to drive traffic to your website where they can explore your business, services, and products further. A great way to build you email list is to create an “opt-in freebie”: something you can give away in exchange for someone signing up for your email list. This could be a workbook, a video tutorial, a discount code or an email course. Join networking groups of people OUTSIDE your industry. Develop relationships with people who can refer clients to you as well as become clients themselves. Get comfortable with people having NO IDEA what your work is and get really comfortable with TELLING THEM. WORD OF MOUTH! Over-deliver in your sessions. Over-deliver in your Freebies. Over-deliver so people are excited and want to keep working with you and then will go tell everyone they know about it. How do I network, and how do I do it in a way that feels authentic? First, recognize that almost nothing “feels” authentic when just beginning. Networking is just a bunch of business owners or operators getting together to talk about themselves and their offerings. It is a lot less scary than people think. It’s a business party where everyone is getting together to talk about how they can help each other out. Everyone in the room felt awkward at one time, yet they kept showing up and practicing. Those people who are “good at networking” have just continued to practice and refine their message. Start by writing out your “elevator pitch” or “30 second commercial” for your business. Then practice it in the mirror, record it and play is back and keep doing this. Practice introducing yourself and your business to your friends and family, and ask for feedback. This little message is what is going to intrigue people to want to speak with you more about what you offer. Every conversation you have is a networking opportunity. The more you talk about your business and yourself the more authentic it becomes. Networking events are happening everywhere all of the time. Check out the your local Chamber of Commerce, local industry events, online Facebook marketing groups, Small Business Administration, BNI or create one! Just remember, you network with people outside of your industry to build business. FAIL! Fail big and fail hard, then look at the situation objectively and pick out the lesson. Any successful person will tell you they have failed hundreds of times before they had success. Even Picasso created 50,000 pieces of art and just 100 “masterpieces” from those. You need to work for what you want. Success takes REPETITION, so naturally, you will fail sometimes! No one gets it right 100% of the time. However: the more often you exercise courage and risk failure, the more opportunity you have for success.